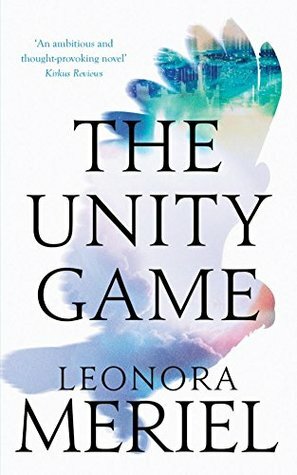 From the visions of Socrates in ancient Athens to the birth of free will aboard a spaceship headed to Earth, The Unity Game tells a story of hope and redemption in a universe more ingenious and surprising than you ever thought possible. NF: Thanks so much for joining me today Leonora, it’s a pleasure to have you here. Please tell us a bit about the inspiration behind The Unity Game? LM: A pleasure to be here, thanks for inviting me. I wanted to write about New York City, where I had lived for several years and where I started my career. However, I needed to find a new perspective on the theme, and it felt right to draw parallels with an advanced planet far from Earth. This is how the novel became Science Fiction, and then I decided to go a step further and add an after-life dimension. The inspiration started with my work on Wall Street and the desire to write about this in an original way. NF: It sounds intriguing. You say you lived in New York, me too! Such a vibrant city. What other jobs have you had other than that of a writer? LM: I’ve had a few. My first serious job was working at the United Nations in New York while I was finishing at university. At the age of 21 this really opened my eyes to how decisions are made in international politics and diplomacy. It was an extraordinary experience. My job after this was in the world’s largest law firm, so I had a direct comparison between a not-for-profit organisation and a private sector company. It was a dramatically different way of working! These two jobs then shaped my understanding when I came to start my own company, and also to run an international charity when I was living in Kyiv, Ukraine. NF: What amazing experiences you’ve had. 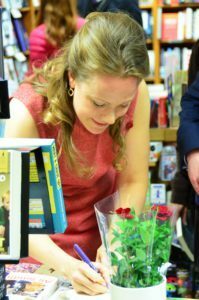 I find that my experiences really help to inspire my writing, can you tell us what you’re currently working on Leonora? LM: I’m currently working on 3 different books. I spent between 4 and 5 years each on my first 2 novels and I wanted to work on several projects now to get some diversity. In my first novels I wrote in the genres of Magical Realism and Science Fiction, so I’m now experimenting with some straight literary fiction. It’s challenging, as my imagination likes to roam, but I’m trying to keep it at least on the Earth this time! NF: I hear you! I’m currently working on a few projects too and it’s proving difficult to keep my imagination in the same room sometimes! What book would you say has had the biggest influence to date on your writing? LM: When I was about 14, my godmother gave me The Gormenghast Trilogy by Mervyn Peake for a Christmas gift. It was entirely unexpected and it completely changed my view of books. I had never read anything so enthralling, with such amazing literary skill and vocabulary, and a world that was both real (to me) and so gripping. It was also a combination of fantasy and gothic, with incredibly vivid characters. I think that the shadow of these three books has been with me ever since (the three books are: Titus Groan, Gormenghast, Titus Alone). NF: Emm… these are not books I’ve read but they sound fascinating. I do love a bit of gothic! I have set myself a new reading challenge this year and have added them to my TBR pile. What is the greatest joy you find within writing Leonora? LM: My greatest joy in writing is the unknown and unexpected nature of it. I am organised and strategic in the real world, as I have children and am an entrepreneur, and this takes management and constant planning. In my personality I am a structured, logical person. However in my writing, I never know what incredible stories are going to bubble to the surface and insist on being written, or what characters have been roaming my subconscious waiting to stride onto my page; I have no idea if I will murder someone or make love, travel the universe or delve for hours into a single strand of thought. It is the perfect freedom and the fact that once I sit down to write, any planning I might have done will be discarded instantly, the moment one of my characters decides it is their turn to tell me their story. This is my joy in writing. NF: I agree wholeheartedly, it is that adventure into the unknown. You are absolutely right when you say it is the perfect freedom. Thank you so much for joining me today and I wish you every success with The Unity Game. Eileen led him out of the library and across the grand marble foyer to another doorway, through which Alisdair could see wide stone steps leading down into a garden. As they passed through the arch and onto the staircase, Alisdair was struck by the sudden blue of the sky above them, and he looked up into it. He had never seen a colour so pure before. It was as if the pigment of the sky had been condensed into the most intense hue possible. It was breathtaking. “What a colour,” he said. They stood together at the top of the steps, and looked out over the most extraordinary garden Alisdair had ever seen. It seemed to be both formal and natural at the same time. Wide pathways and arches and trailing, climbing, falling, hanging flowers. Wild roses, wisteria, foxgloves, gladioli; standing tall, ducking low, effortlessly, and yet the effect was a pattern of complete order. It was as if he were listening to the most exquisite piece of music which had never been written, but was being played, somehow, because the notes, in their creation, had contained the possibility of that music within them. It stirred an excitement in him. This was how things were meant to be. This was what they had been imagined for. This is what all those exquisitely and intricately planned gardens he had seen during his life had been trying to achieve; this meeting of natural order and beauty and congruity with everything around it. To be in with a chance of winning a signed copy of Leonoras wonderful book please pop a comment in the box below. The competition is open to anyone worldwide – the only stipulation is that you have to be on planet Earth!